and the word follows a cycle of rising and falling. using love to build a house. are blackened by the growing smoke. I can see the countless struggling hands and feet. But I can’t, I can’t let these insignificant things get hurt again. that toppling feeling came pressing down nimbly from your sky. the dust on the road. its utter whiteness makes people uneasy. They are walking by the Sandy River, backlit. The swaying waterweeds seem to walk too. two waterbirds sink into the unscrupulous plot. because of the bridge’s far end, life marches on. grassy banks extend out endlessly. and walking, they become each other’s light. And the light is softly singing with the sound of the reeds. 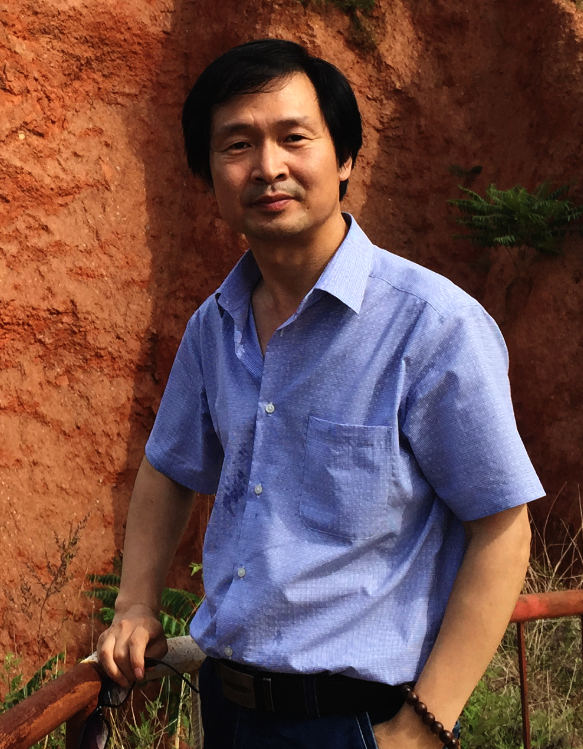 Gao Chunlin(b.1968), contemporary Chinese poet, now lives in Pingdingshan City, who began his writing in 1989. He is the author of several collections of poetry and essays, which are The Foxtrot of Night(2010), The Paramour of Time(2013), The Rover, and A Peaceful Heart (2013, Essays) etc. He is the editor-in-chief of several poetry anthologies, such as The 21st Century Chinese Poetry File. He has ever won the 3rd Henan Province Literature Award etc. Some of his poetry have been translated into English and introduced abroad.